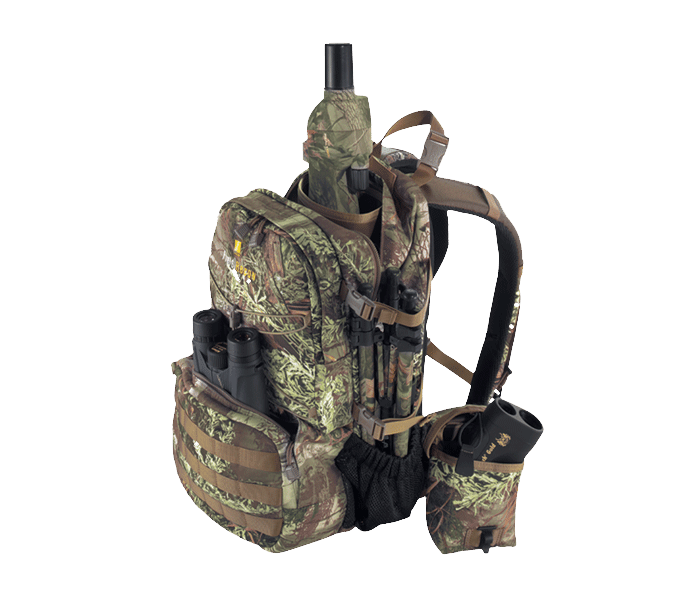 Engineered by Nikon and BLACKHAWK!® Products Group, this pack organizes, protects and safely transports all vital optics and gear in the field. This highly effective open-terrain pattern offers true performance in a variety of open settings across the country. Now you can become “1” with the landscape! BLACKHAWK’S patented S.T.R.I.K.E.® system: Allows for optics-specific pouches and organizer to be attached as desired for the ultimate in customization. 1,950 cubic inches of interior space: With multiple compartments for optics care and accessibility. HawkTex™ Shoulder Straps: Non-slip straps keep over-the-shoulder slings in place.